One of the most popular alias of Peter Rauhofer in the 1990's. At first, Rauhofer used different aliases to release his music. 'Unique' (1991) was first released under the names Danube Dance (a name he took from a compilation project of the same name released on GiG Records), Unique (16) and Saxmachine. These projects all featured the vocals of Kim Cooper. In 1992, a remix of 'Unique' and the single 'Let Me Be Your Underwear' began to be played in Europe and in North America. Both tracks became instant club hits. The year later, Rauhofer continued the success story with 'Take A Ride' featuring the vocal talents of Connie Harvey and Jocelyn Brown. Finally, in 1994/95, he decided to regroup all these projects under the name of Club 69. The first album 'Adults Only' featured all the previous hits and many new singles such as 'Diva', 'Warm Leatherette' (a House cover of the Grace Jones disco hit), 'Sugar Pie Guy' and 'Fantasy'. Club 69 came back in 1997 with the single 'Drama' and full album 'Style' which also included a collaboration with Suzanne Palmer. Rauhofer also used his Club 69 alias as a remixer and became very famous by remixing popular artists such as Madonna, Cher, Funky Green Dogs, Danny Tenaglia, Depeche Mode, Soft Cell and many, many others. His serie 'Club 69 Future Mix' went on to be released on two full mixed albums. In recent years, Rauhofer seems to have moved on his 'Club 69' moniker to release tracks and remixes under his own real identity. 'Unique' was covered by Lisa Unique in 1999. On May 7th, 2013, Peter Rauhofer lost his battle with brain cancer. According to his manager, Angelo Russo, on his Facebook page: "Today the music industry has lost one of its true heroes. 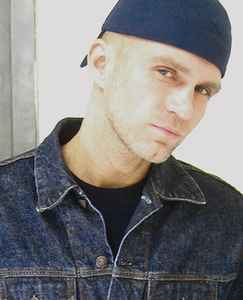 With a heavy heart I must now report that Peter Rauhofer has lost his battle with brain cancer. He passed quietly today and is survived by his mother, Helga, who resides in Austria. She will transport Peter back home to his final resting place there, but to all that knew Peter, his heart will always be in New York City. It makes me sad, not only that I have lost a friend, but that the world has lost an amazing talent and that future generations will never get to understand the magic that Peter created night after night all over the world. He is gone too soon but we will always have the vast body of music that Peter left for us. Through his music, Peter will live forever. The brightest stars always burn out too soon. Peter, you were loved and you will be terribly missed. Goodbye my friend. Please rest in peace knowing that you have brought so much joy to so many of us. I ask that his true fans keep his legacy alive by sharing his music with anyone who may not have had the opportunity to experience it for themselves."